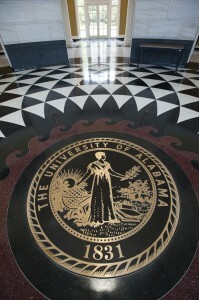 The Office of Environmental Health and Safety provides regulatory required training for faculty, staff and students at UA. The primary system for delivering required training is the SkillSoft Academy. You will need your mybama ID and your CWID to log in to the Academy. Initial notice of training assignment is delivered via your mybama email account, which is the University’s primary method of communication. IMPORTANT: Since your PC or Mac must meet minimum system requirements to run this training software, you must first perform the SkillSoft Browser Capabilities Check prior to taking any courses. The results of this check will provide you with links to resources for downloading Java as well as making any needed changes to your computer settings. Coming soon in 2018 a list of training dates and times to include classes such as Initial and Refresher training in Stormwater, Asbestos Awareness, Confined Spaces, Proper Use of Fire Extinguishers and Career Ladder training topics. To request a training course, please complete the Training Request form below. Registration for these courses are free. A listing of available training courses via the SkillSoft Academy is available. If you would like to register for an in person laboratory equipment safety training course. Please select the laboratory equipment below.